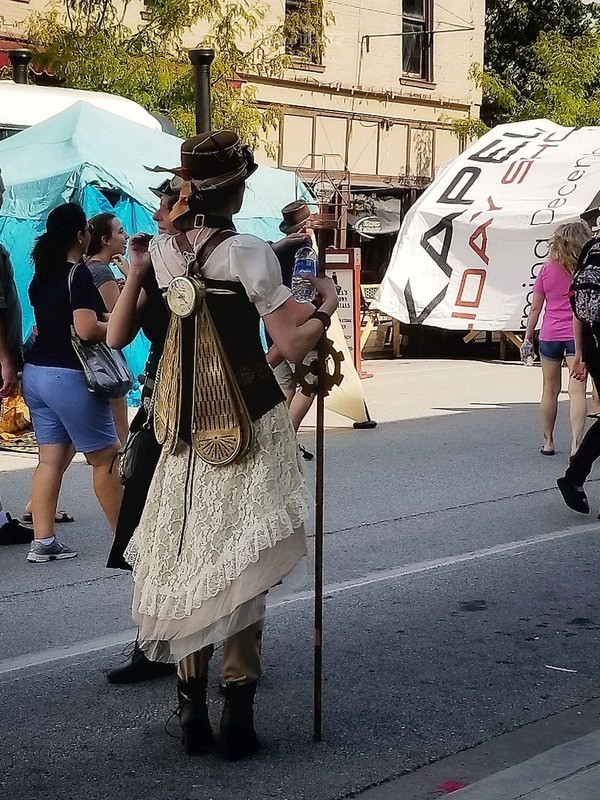 What is Labor Day weekend without the Steampunk Festival? 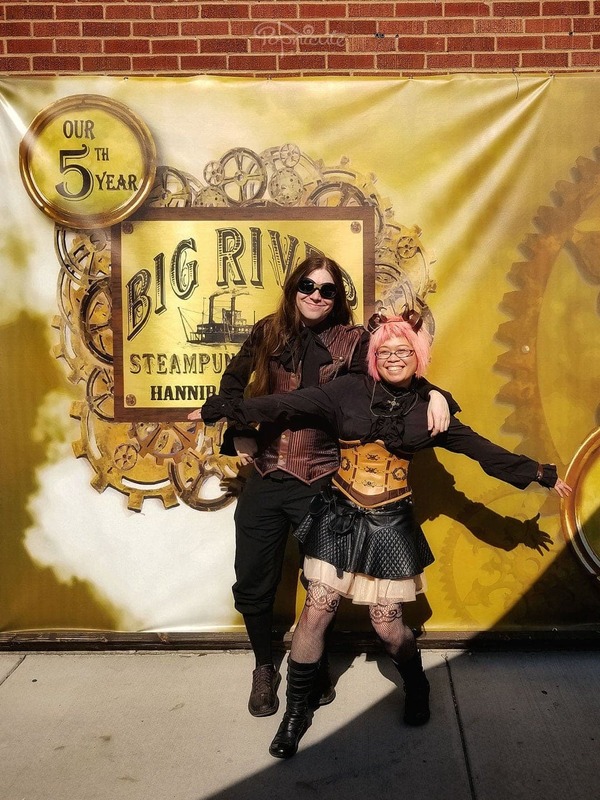 I was going to share a booth in the fair as an artists but due to some unforeseen circumstances and a misunderstanding, I forfeited my participation at the Big River Steampunk Festival although that didn’t stop us from attending as guests. 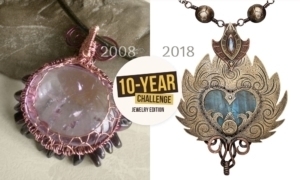 As a couple of creative people, the steampunk culture is something that both my husband and I enjoy as a lot of the steampunk elements require creative thinking. 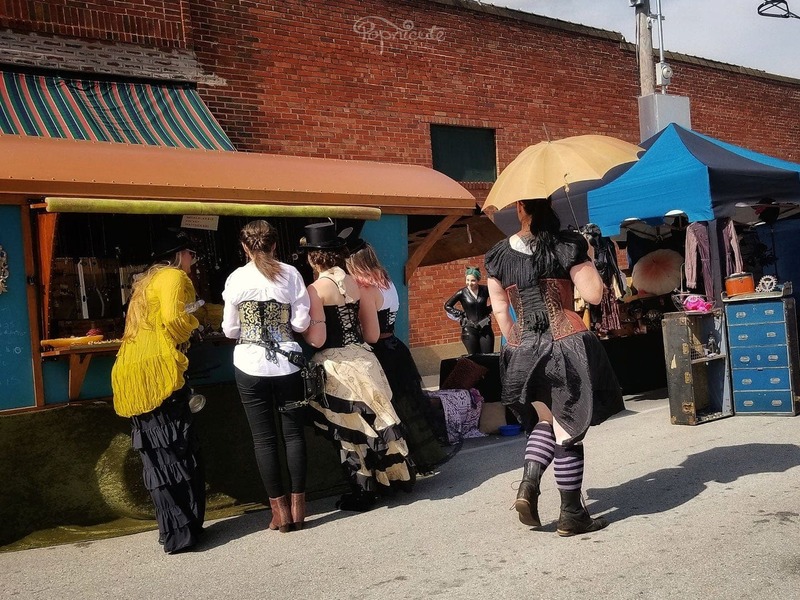 We love going to these steampunk festivals especially when it’s so close to home. Once a year, every Labor Day weekend, we would dress up and attend the fun festivities. On the day of the opening, especially, you’d see a lot of attendees dressed up in their best Steampunk garbs marching around town. 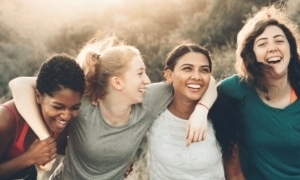 Though not exclusively, typically, the girls would lace up in tight corsets and ruffly bottoms as a nod to the Victorian era and the guys would carry heavy armory-like of the Industrial era and dress up like a gentleman. 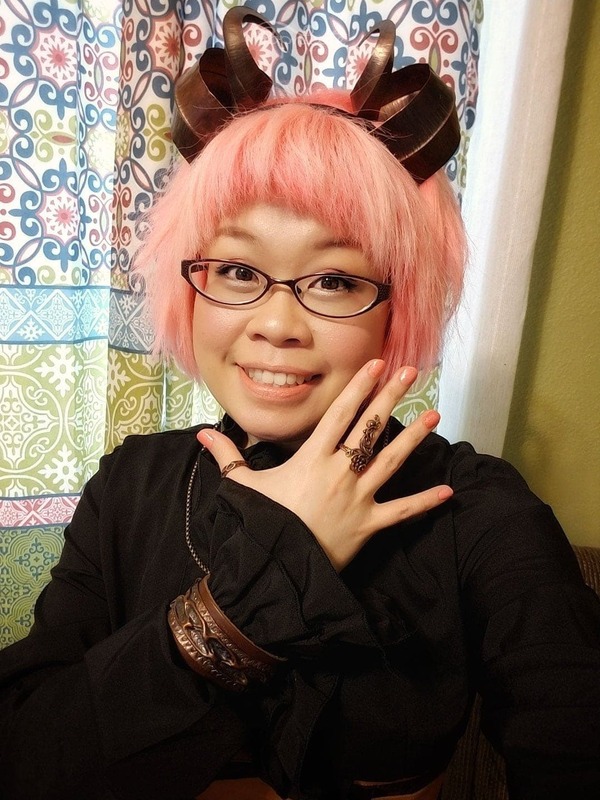 Fresh face before heading off to the Steampunk Festival sporting a new Tree of Life ring. Kharisma and husband with Steampunk Guy on a tall bicycle. Coffee break at Java Jive. 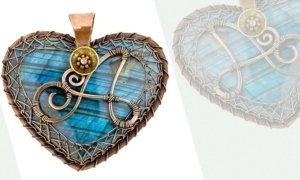 Did you see my new cross necklace? 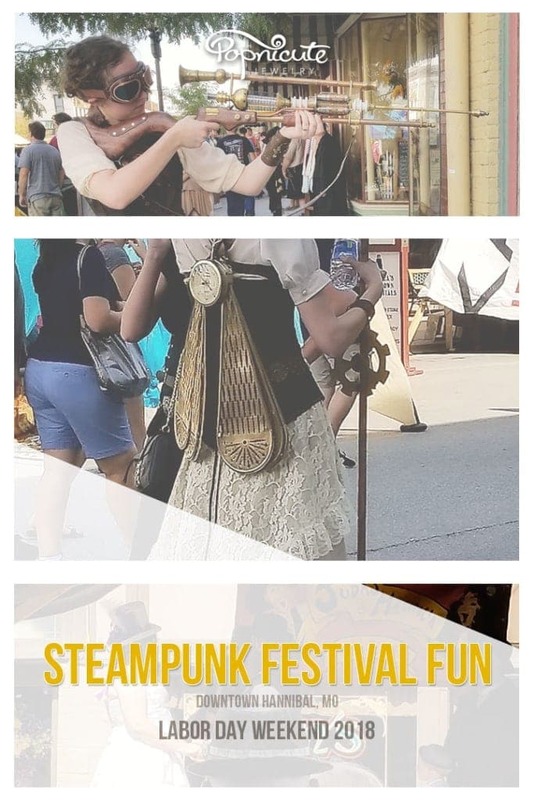 My experience at the steampunk festival summed up in 4 photos. 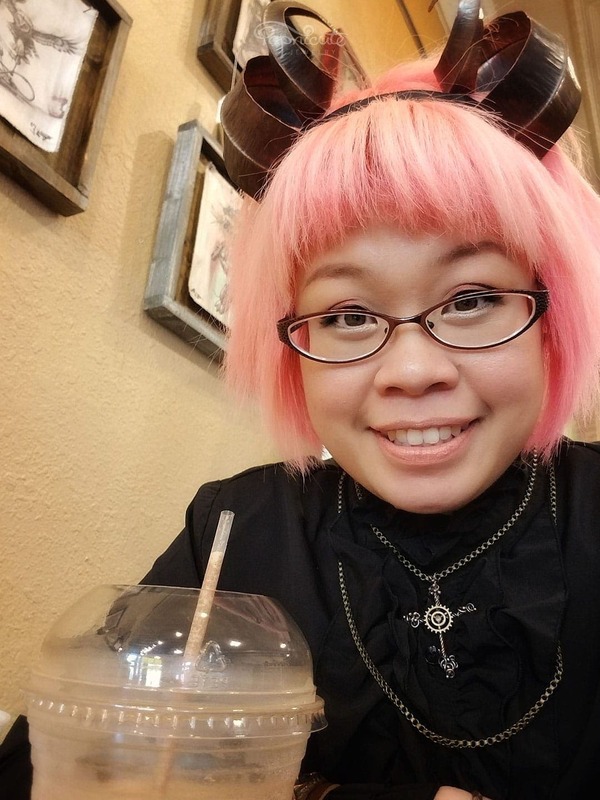 Sporting my new Tree of Life ring and the horns I made last year, I dressed up in black on black under a brown corset with leather accent quite matching with my husband’s outfit. As someone who slouches, by the end of the day, my husband complained of experiencing a back pain from having to stand up straight wearing his male corset vest. What a great purchase, right? I joked that he should wear it more often to correct his posture! Haha. Occasionally, you’d see some people who missed the memo, (I’m looking at you, guy in jeans who dressed up like Cloud, the character from Final Fantasy video game. It’s not a comic con. LOL), but that’s ok, it’s a free country. The ones who got it right was this group of friends who dressed up like Batman (plus friends and foes) but they adjusted the characters to fit the Steampunk theme. Great job, everyone! 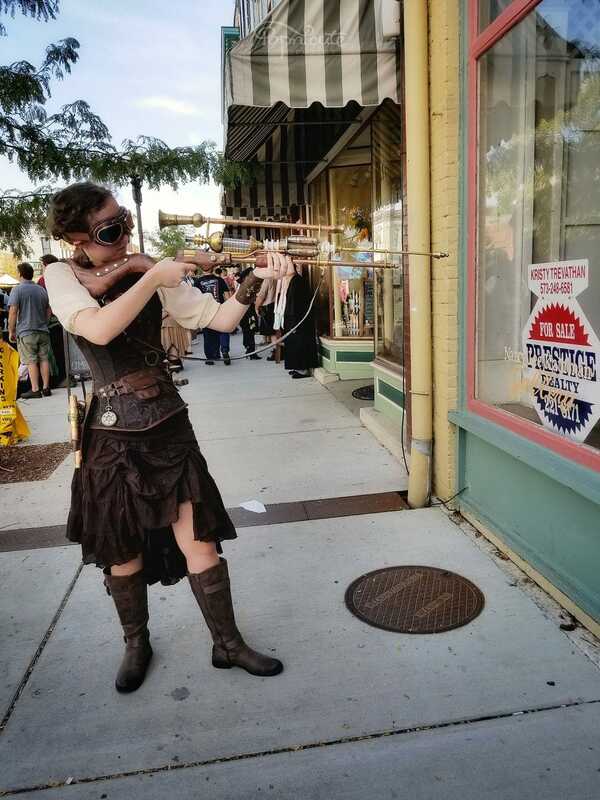 Downtown Hannibal, MO, as a Mark Twain town, is a good environment for the Steampunk Festival as they upkeep the old town look. Each shop would carry a different exterior color making the street look like a candy land. There were a lot of interesting costumes in the festival too bad I didn’t get the photos for many of them. 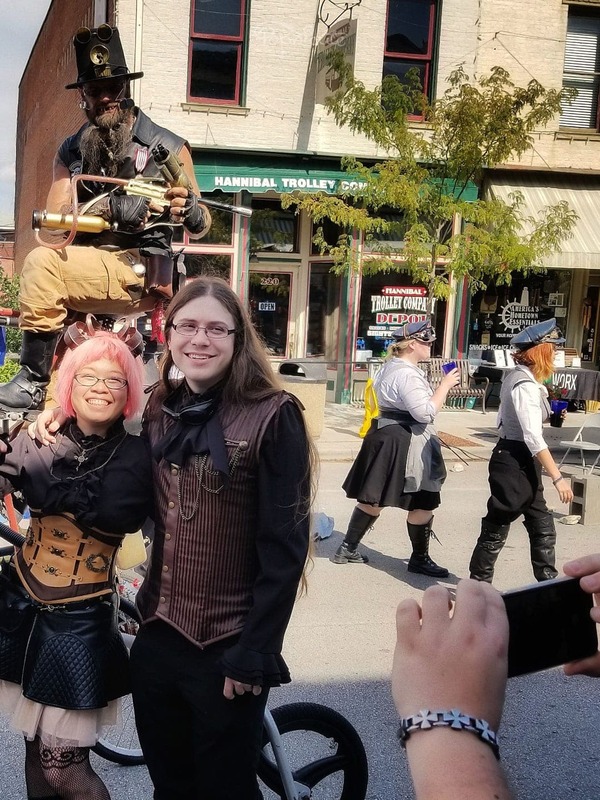 Here are a few shots from the 2018 Big River Steampunk Festival. There was a real wedding happening in the middle of the street! The streets in Downtown Hannibal is conducive to the Steampunk culture. 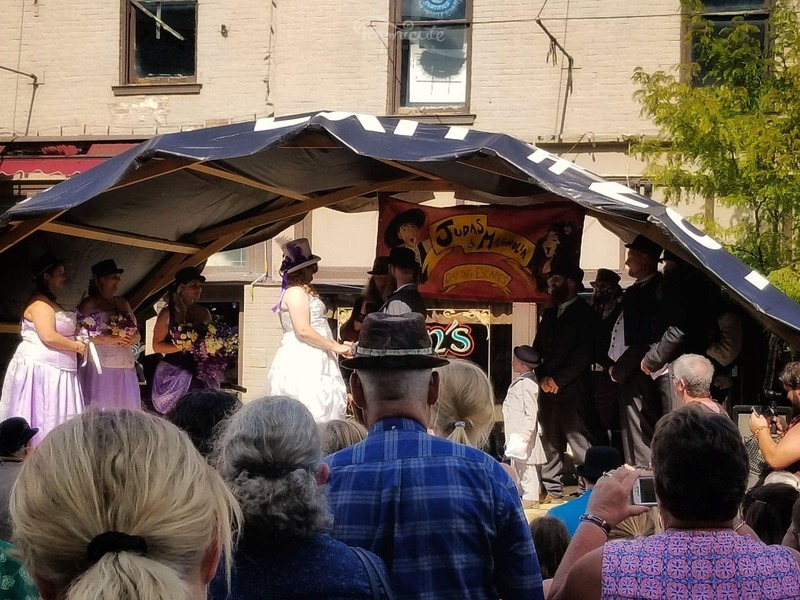 A real steampunk wedding happening at the Steampunk Festival. Steampunk girl with metal wings. Steampunk girl with a steampunk rifle handmade by her dad. There was a real wedding happening in the middle of the street! 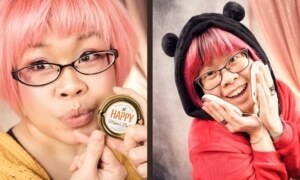 Other worldly and fun! 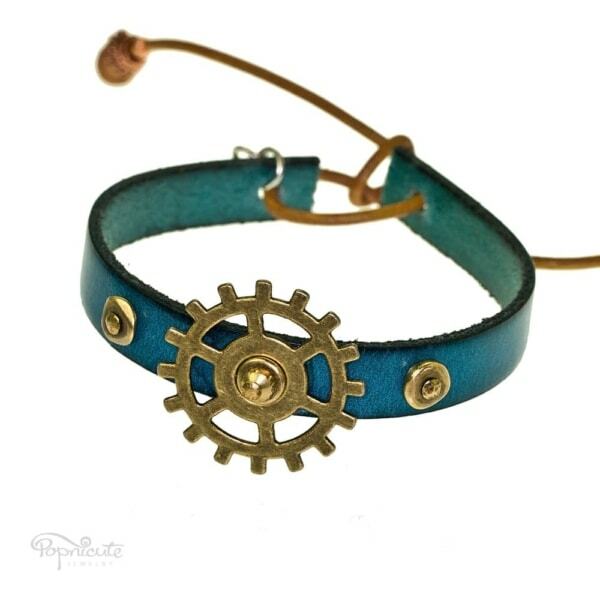 If you are a fan of anything steampunk, please check out my steampunk inspired jewelry. 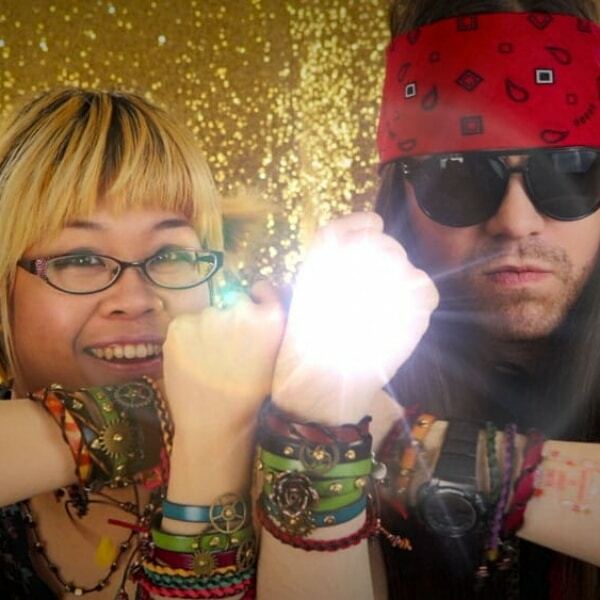 From leather bands with gears to beaded bracelets and earrings, they’re suitable for any occasion. 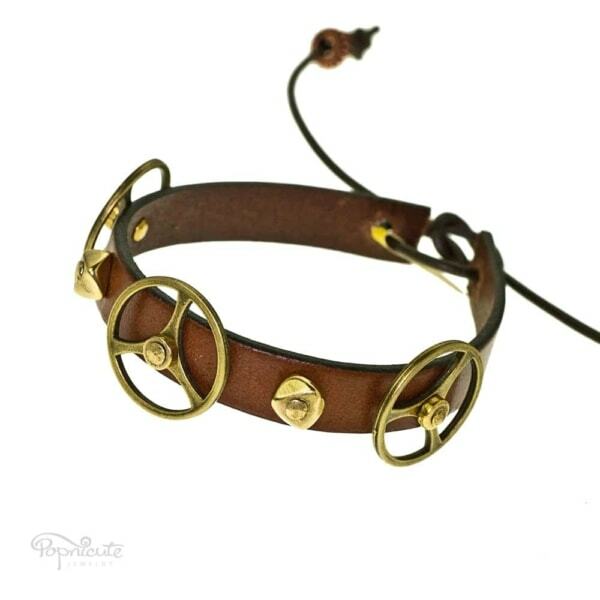 Show a little love for steampunk to your daily outfits or wear them to jazz up your steampunk outfits. 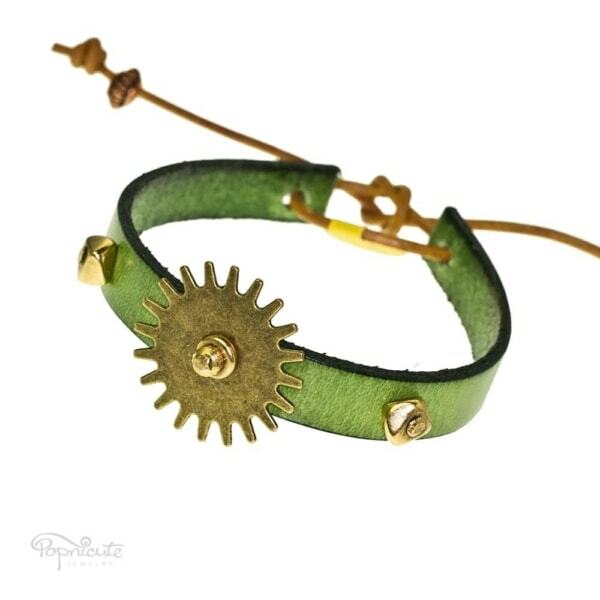 Steampunk inspired jewelry by Popnicute Jewelry. What's your favorite thing about Steampunk? Which outfit caught your eyes? Share your thoughts in the comment.